Temple of Malady enters the battlefield tapped. When Temple of Malady enters the battlefield, scry 1. _Delta_ on Don't Look Into Their Eyes! Explosive Vegetation for Circuitous Route (If you add in my suggestion of Golgari Guildgate then this is a good reason to make this switch). Swamp for Hythonia the Cruel as you have 1-2x many lands I think and also are a little low on creatures. Cut 3x Forests and 5x Swamps for these: Command Tower , Golgari Rot Farm , Woodland Cemetery , Tainted Wood , Overgrown Tomb , Hissing Quagmire , Temple of Malady , Blooming Marsh , Jungle Hollow , Golgari Guildgate , Blighted Woodland , Temple of the False God , Llanowar Wastes , Bojuka Bog . (I gave you more than 10 choices here so you have options at varying prices, choose whichever 10 or even more that you would be willing to include here, keep in mind also that I have ordered them based on my most recommended to least, but all are fine choices here). I have to get going for now, but I hope that you will find all of this useful, and let me know what you think of these changes! Lands: Vivid Meadow , Vivid Marsh , Vivid Grove , Temple of Malady , Temple of Plenty , Temple of Silence and a basic land should be replaced by Sandsteppe Citadel , Scattered Groves , Forbidding Watchtower , Llanowar Wastes , Exotic Orchard , Blighted Woodland and Krosan Verge . This last one can fetch Murmuring Bosk , Canopy Vista and Scattered Groves . Liking the deck, you some solid value picks. If you are trying to find some room, cutting down to 38 lands wouldn't hurt a lot. It's still on the high end for a land base. I'd suggest Scavenger Grounds since it exiles your grave too. If you really want some grave hate Bojuka Bog is great targeted grave hate. You might like Plaguecrafter over Merciless Executioner . 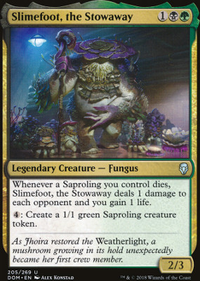 It's hard for me to get a definite number on how many ramp spells you have, but when I'm in green+ I love running Nature's Lore / Rampant Growth , Farseek , and Kodama's Reach with Cultivate . They don't synergize with Muldrotha, but maybe they are worth thinking about. I don't know your budget, but here are some cards you might have fun with: Oblivion Stone , Lotus Petal and Constant Mists are all under $10. I saw an awesome combo with Crucible of Worlds Azusa, Lost but Seeking and Walk the Aeons , but getting those cards will be a pretty penny. I think you got a solid deck. The best way to find out what works and what the deck needs is to just play it. Especially against hard match ups. Bayou : The best there is, but are you prepared to pay for it? More lands could be nominated, but this is a good start if you would ask me. my favorite version of meren uses a heavy elf package with Arbor Elf,Boreal Druid,Deathrite Shaman,Devoted Druid,Elves of Deep Shadow,Elvish Mystic,Fyndhorn Elves,Llanowar Elves, Sylvan Ranger and Priest of Titania. Of course you dont have to go this in depth with mana dorks but I would definitely consider running a fair number of any of these cards. Golgari Signet: good ramp piece but if you are going to be using lots of mana dorks then its unnecessary. But other than that I can't make any solid recommendations for what to cut because I'm afraid I'd be destroying the deck identity you have worked to build. So its really up to you to decide to cut based off of how you want this deck to function. Although as general deckbuilding advice, you only need a few big flashy creatures to finish a game and right now you seem to have a excess of large and hard to cast creatures. To start, Wooded Foothills, Windswept Heath, Scalding Tarn, Marsh Flats, Flooded Strand, and Bloodstained Mire are all fetch for lands that you can't run in this deck, you're losing value there. I would instead run the bounce lands in those colors, Dimir Aqueduct, Simic Growth Chamber, and Golgari Rot Farm. If you're really looking for that mana fixing, obviously the go to Evolving Wilds and Terramorphic Expanse. 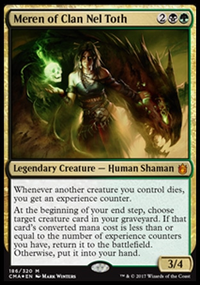 From looking at your decks, you seem to build a lot of 4-5 color EDH, from someone who plays quite a few 3 colored decks, colors aren't that big of an issue. 37-39 is really the range of lands to stay in, whereas you have 34. I know you'll have to cut more in other areas to hit that, but it will help with mana issues if you have them. 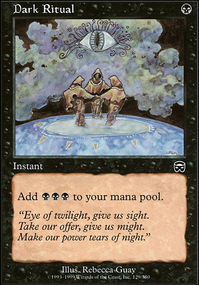 I would look into adding the Scry lands; Temple of Deceit, Temple of Mystery, and Temple of Malady. 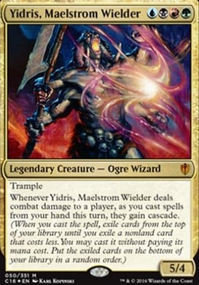 Tasigur is all about top deck manipulation, so free scry is nice. Again, I'm not helping with the cutting, but Thassa, God of the Sea and a Sensei's Divining Top would be great additions for top deck manipulation. 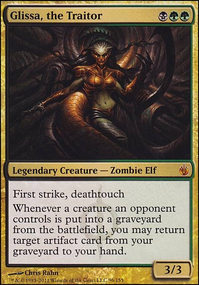 As for cuts, Grave Titan and The Scarab God.I see the synergy of zombie creation, leading to scry-ability, but I just don't see that paying off in the way you want. The likelihood of having both of them out, creating zombies, and the table allowing that to continue is low. There just isn't a whole lot of Zombie synergy in the deck, and you're losing value there. I went on quite a bit above talking about mana fixing, with that in mind, Mox Diamond just seems excessive. You have a Command Tower, you have a lot of dual lands, while a high-value card, maybe not as necessary here. The next one I would go with is Languish. You have a ton of answers, and this one is the weakest. 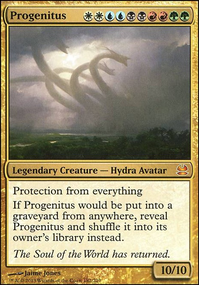 I would put it in the sideboard, that way if you're playing against a token deck or other low-powered creature deck, it has great value as a wrath, but otherwise, it might just be a dead card. Another card would be Impulse while top deck manipulation is very valuable in this deck, a one-off Impulse, when you could have other repeatable top deck manipulation, isn't as valuable and it can probably be taken out. In a similar vein to Languish, I would cut Pernicious Deed. People don't like being held hostage, and on deck board wipes like Pernicious Deed or Oblivion Stone or Nevinyrral's Disk etc, all draw a lot of hate. People are going to come at you and try to force you to crack it. Unless you're going to play it, and immediately wrath, it's going to draw hate your way, and people are going to try to force your hand, I'd cut that. Also, similar to Grave Titan and The Scarab God, Ishkanah, Grafwidow can be cut. 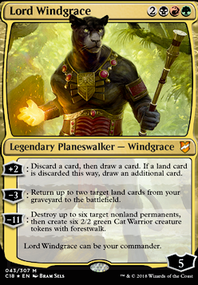 He'd be great in a spider's tribal deck, but paying 6 and a black for draining someone 4 life is fairly low value, unless you want your primary win-con to be the Deadeye Navigator+Peregrine Drake+Ishkanah, Grafwidow. Like, that's a cool combo, but Deadeye Navigator is so widely known to be an infinite mana machine, people will be throwing whatever they can at him to get him out of the game.